Leighton-Linslade Town Council is chasing rent arrears from two traders while predicting a further drop in income from the market. 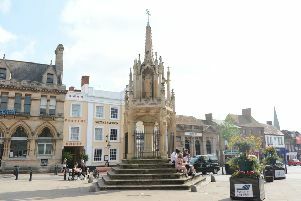 The council continues to subsidise the town market, with figures showing expenditure outweighing income since August 2017. In its budget setting exercise 2018/19, the council downscaled predicted income from the market. The report stated: “Market incomes for Tuesday and Saturday markets have been reprofiled to be more representative of actual income forecasts. Two traders are reportedly in arrears, which are being paid back to the council incrementally. Local campaigner Victoria Harvey has campaigned vigorously against rent increases at market stalls, with a High Court hearing due to take place on February 13. Miss Harvey has also called on the town council to publish its 12 month review of the market, after spending £120,000 in new equipment and trader training for the market relaunch.